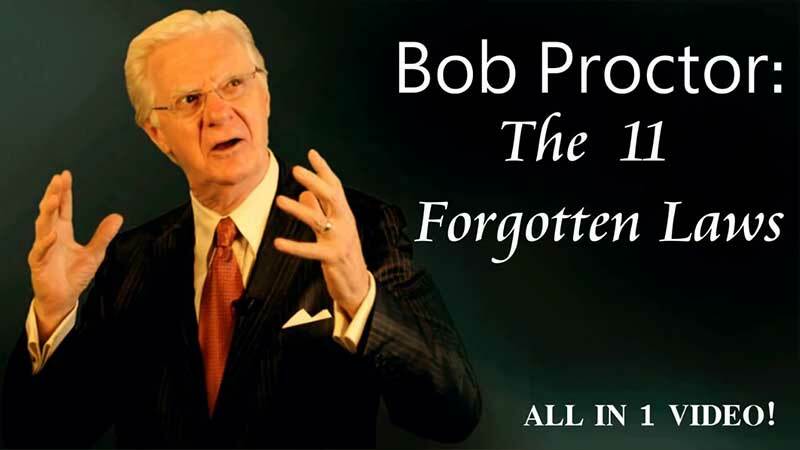 The 11 Forgotten Laws are the 11 laws that star of “The Secret” Bob Proctor believes govern our Universe. As one of the major contributors to the original movie, Bob is one of the world’s foremost authors and speakers on the law of attraction. The laws follow on from the original movie as Bob seeks to answer the question. Bob believes the answer is that the law of attraction is actually incomplete. And that there are in fact 11 natural laws that govern our existence here on this planet with the law of attraction being just one of them, albeit an important one. Bob has devoted 40 years of his life to the study of the law of attraction and has benefited thousands of lives through his seminars, books, courses and coaching. His research and study has led him to believe that to a large extent our behaviours, habits and actions are often controlled subconsciously. That the false beliefs we have picked up, even from our earliest days of childhood, and from our culture and social groups, unconsciously condition us to accept limiting views our existence that lead us to lives of struggle and scarcity, even without knowing that we are doing it. Bob thinks that what is called for is a paradigm shift in our thinking, and knowing these 11 forgotten laws can give us the tools to do it. Learn more on the 11 forgotten laws here.